The closing social for MediCoventures’ Synapse Workshop was a resounding testimonial to the progress made by five medical entrepreneurs over the course of just 3 days. The participants raved about the tremendous support they received during the workshop in helping advance their startup aspirations. 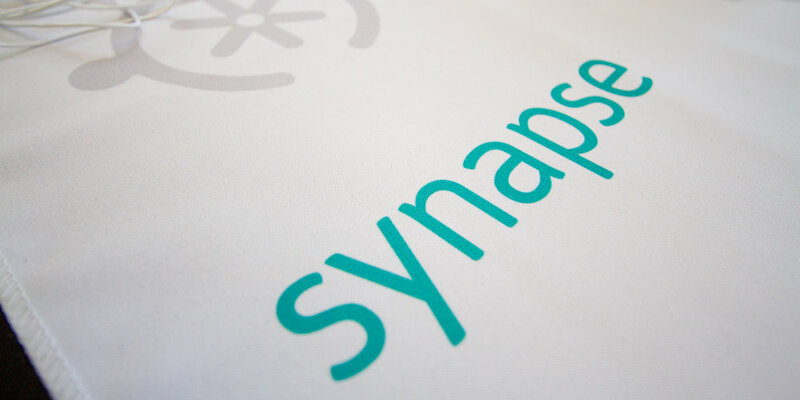 On paper, Synapse sounded much like a Startup Weekend - helping people derive a business model and product or prototype and ultimately launch a company. But here are the reasons why it accomplished much more than a typical Startup Weekend ever could. The MediCoventures team - Kelvin Ning and Aaron Call - initiated their promotion of Synapse at 4 to 5 months in advance with the express purpose of vetting and validating applicant ideas. Patent opportunities and/or conflicts as well as overall technical feasibility were reviewed and researched in order to provide maximum impact for the participants over the three days. Day 1 for Synapse was completely centered on providing tactical and strategic information to these aspiring medical entrepreneurs on what it takes to launch a successful medtech startup. Panel discussions highlighting case studies and leading industry experts spoke to the various opportunities and challenges that medical entrepreneurs face. Startup Weekend, on the other hand, does not typically incorporate a comprehensive learning process to offer insight on what it takes to become an entrepreneur. In many cases, their participants are developers or other creatives who have a specific skill set in building products but not necessarily businesses, which makes the “learn” aspect all the more important. The team is one of the most important aspects of a startup - from mentors and advisors to actual co-founders and company leadership. Synapse did not leave it to the participants to find like-minded or gap-filling experts to supplement their business development; instead MediCoventures took an active role in identifying and placing strategic individuals and partners to help conceptualize the idea. This included a patent and/or intellectual property team, business development mentors, sophisticated engineers and medical device commercialization and regulation experts, all of whom collaborated to bring the physicians' ideas to life. Although there was no commitment for long-term team building, these individuals helped provide the participants with a road map to grow their business. Lastly, Synapse delivered what very few workshops can, especially in the amount of time in which they did it. Business models, functional prototypes or working design concepts, and patent pending applications were completed for ALL of the groups. Again, this was made possible in large part due to the amount of pre-work accomplished well in advance of the weekend, but the fact that these medtech entrepreneurs walked away with tangible strategies for development, commercialization and growth speaks to the incredible talent and focus of all those in the room striving toward one goal. One participant in particular left Synapse with a newly-remodeled prototype and a clear exit strategy for his business. All in a few hours time!